Marc is known for his excellent diagnostic skills and hands-on approach. Marc has an excellent rapport with his patients and whilst will always be honest and open about the reasons why the condition may have arisen, is very empathetic and understanding. Marc thinks hard about his patients and is driven to do his very best for them. Marc uses a lot of manual therapy and has embraced the newer technologies of shockwave which he fits in well alongside a rounded approach to exercise and self-help. Marc is at home treating youngsters as well as elderly, athletes to gardeners. Marc graduated from the University of Brighton with a Master’s degree in Physiotherapy, following his graduation from Sheffield Hallam University with BSc (Hons) Sport and Exercise Science. After completing his Masters he worked for 3 years at Milton Keynes Dons Football Club. Marc then joined Moulton College in 2010, where he provides services for over 200 elite athletes competing in 8 different sports including rugby union, golf, basketball and cricket. Marc continues this role alongside a part-time role at Witty, Pask and Buckingham. He also provides physiotherapy consultancy for Northamptonshire County Cricket Club and Great Britain Vaulting (Equestrian) Squad. 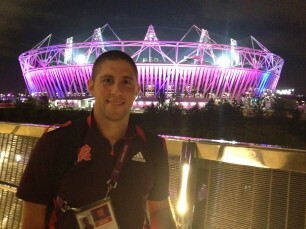 In 2012 Marc was based at the Olympic Village providing physiotherapy to athletes throughout the course of the London 2012.